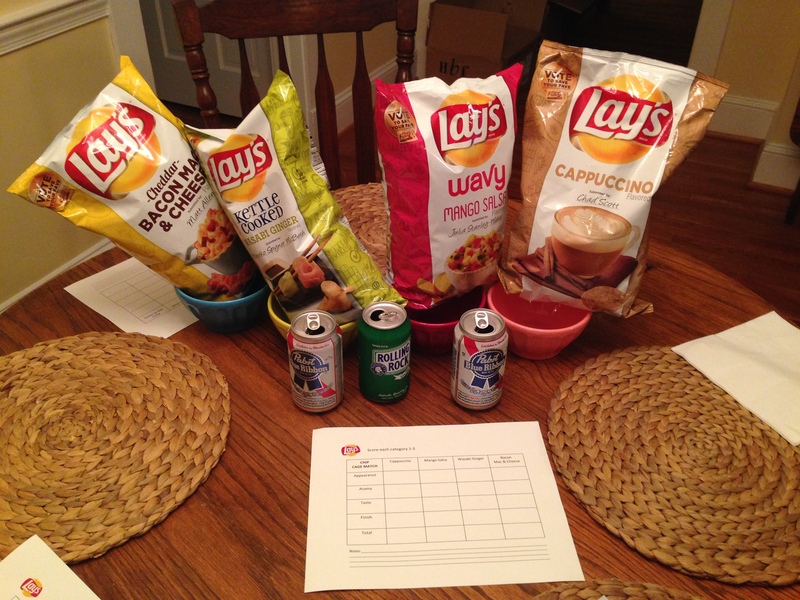 On Tuesday night, Anna, Kevin and I embarked upon a Lay’s taste test cage match. Four flavors will enter, only one will survive. Who gets the vote to be saved?? *I only saw that first like 3 episodes of Lost. But, I’ve got a whole mythos created in my mind. Everyone on it was a potato chip and had to be saved. But in the end, all the chips wound up in heaven. Or something. 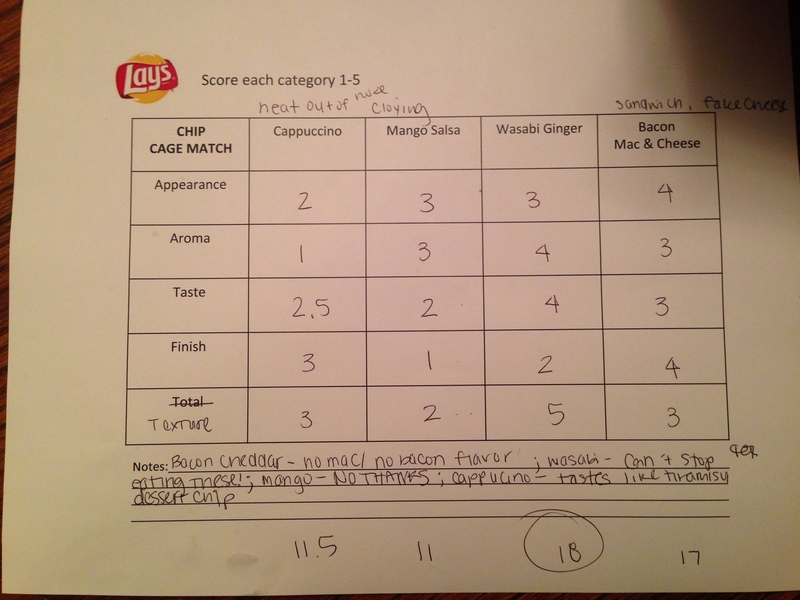 As promised, I am sharing with you the good (Wasabi Ginger), the bad (Mango Salsa) and the ugly (the DoUsAFlavor.com website). Our incredibly scientific and not-at-all-ripped-off-from-a-wine-tasting criteria is as follows. We scored based on the following criteria: Appearance, Aroma, Taste, Finish, and Texture. Each category was worth 5 points for a total of 25. Then, there’s the bad. To call the Mango Salsa artificially, cloyingly sweet would be kind. We started referring to it as a ‘garbage chip’ and we started feeding it to the dog. (YOU’RE WELCOME, FULTON.) We actually threw the bag away. It’s a real shame because mango salsa sounded like it would be the easiest one to accomplish. Plus, chips and salsa are a natural marriage. But the texture was unpleasantly soft, particularly when you compared to the crunch of the kettle cooked Wasabi chips (#savewasabi). The smell was overwhelming and the taste was chemical. Now, don’t get me wrong. I know that these are standard, regular American potato chips. I’m not pretending these are organic or all natural. This mango salsa spice was created in a lab, not picked from the mango salsa spice tree. But, Kettle Brand potato chips have given us some really authentic chip flavors. So, it’s not impossible. Bacon Mac and Cheese was heavy on the cheese, light on the bacon, and the mac wasn’t anywhere to be seen. This was a standard, cheesy chip. Would’ve been greatly improved by a thicker, kettle cooked texture. In the end, I think the experiment is worth it. Only good comes from this. Except for the Mango Salsa chips.